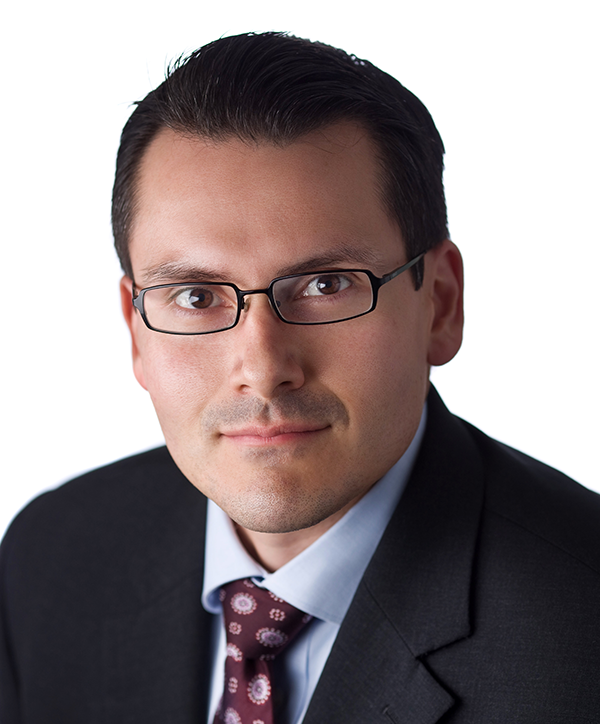 Jose Sanchez is a Principal and member of the firm’s Municipal and Special District Practice Group and Public Contracts Practice Group. He serves as City Attorney for the cities of Livingston and Cloverdale, Assistant City Attorney for the city of Modesto, and provides counsel to special districts and other public agencies. Jose advises on the full range of legal issues facing cities, special districts and commissions, including the Brown Act, the Public Records Act, the Political Reform Act, other conflicts of interest laws, land use, environmental issues, rate setting and public contracts and bidding. He has extensive experience negotiating and drafting development agreements and related entitlements needed for new development, assisting public entities through the public contract bidding requirements and dealing with complex code enforcement cases. Jose also provides advise to public agencies on how to navigate through high profile matters/crises, such as the transition of high level managers, airport issues, litigation, ramifications of the current California drought and other difficult issues. In connection with Jose’s areas of expertise, he is often requested to speak on matters relating to the Brown Act, Conflicts of Interest, and the California Public Records Act. At the request of the Institute for Local Government and the California Special District Association, he has participated in webinars related to conflicts of interest for public officials and the role of the California Fair Political Practices Commission. Jose serves as a member of Meyers Nave’s Diversity Committee and the Chair of the Diversity Fellowship Recruitment Committee. Rio Del Oro Specific Plan, City of Rancho Cordova. Advised the City Council with extensive plan approvals, development agreements, subdivision issues, and an Environmental Impact Report Addendum for a 3,828 acre mixed-use project, the largest land development project in the City. The project includes 12,189 residential units, one high school, two middle schools, six elementary schools, 157 acres of commercial space, 90 acres of business park, 269 acres of industrial park, 510 acres of wetland preserve, 121 acres of community park, 57 acres of neighborhood park, and 16 miles of trails. Over the next 25 years, the project is expected to increase the City’s population by 40%. It will transform the site from mine tailings to a community of neighborhoods with schools, parks, and shopping. Mather Veterans Village, City of Rancho Cordova. Assisted the City with land use and planning issues regarding a three-story supportive housing project for homeless veterans with disabilities. The 50 apartment home community involves an innovative partnership among the City of Rancho Cordova, Mercy Housing, Veterans Resource Centers of America and the County of Sacramento. Alexander Valley Resort, City of Cloverdale. Assisted the City in negotiating a development agreement and processing the approvals for a 250 acre resort, housing, and commercial project. Rancho Cordova Recreation and Park Revitalization. Negotiated development agreements that resulted in the funding necessary for the Cordova Recreation and Park District to construct and rehabilitate vital parks within the City, including agreements for administering park funds between the City of Rancho Cordova and the Park District. Porterfield Creek Trails Open Space Preserve. Assisted the City of Cloverdale the with the contracts and entitlements necessary to develop trails and make other improvements in the Porterfield Creek Trails Open Space Preserve, including advising on the environmental requirements, design agreements and construction agreements necessary for the project. The construction portion of the project is estimated to be close to $200,000. Community Agreements to Improve Parks and Trails. Advised the City of Modesto in issues related to entering into agreements with community groups to improve sections of parks/trails, including an artistic tile project on a water well located within a park. Implementation of City’s First General Plan, Rancho Cordova. Advised the City on legal regulations and procedures for implementing the City’s first general plan. Implementation of City’s First Zoning Code, Rancho Cordova. Advised the City on legal regulations. Drafted moratoria on several uses, such as tattoo parlors, check cashing businesses, massage establishments, resale shops, recycling businesses, smoke shops, pawn shops and adult businesses. Worked with other governmental agencies, including the Army Corps of Engineers on wetland permits, consulting with a local agency formation commission on annexation procedures, and assisting a city to comply with requests from the Regional Water Quality Control Board related to its wastewater treatment facility and water production/conservation. $60 Million Wastewater Treatment Plant Solar Project, Atwater. Assisted the City of Atwater with a Power Purchase agreement for the construction and operation of a 1.1 megawatt ground mount solar system at the City’s Wastewater Treatment Plant. The agreement is estimated to generate more than $1 million dollars in cost savings for the City over the life of the guaranteed project. Also assisted with the preparation of related construction contracts and service contracts, as well as negotiations and entitlement for the ground-mount solar system on land adjacent to the treatment plant. Water Production and Conservation. Assisted the City of Livingston with the public bidding and contract requirements associated with critical well repair and construction projects. Also assisted the City in critical negotiations with the State regarding drought restrictions. Livingston was initially on the list of agencies failing to meet water conservation requirement during the drought. The City was able to negotiate with the State and use an exemption related having a high industrial user in order to meet state requirements. As City Attorney, advised cities regarding labor negotiations, grievance procedures, and personnel rules and investigations. Assisted cities with the transition of management staff, including separation agreements for city managers, police chiefs, and department heads, along with the recruitment and employment of new management staff. Assisted with reductions in workforce programs and associated grievances and claims. Cannabis Tax, Cloverdale. Assisted the City place a new Cannabis tax on the 2016 election. Utility Users Tax, Cloverdale. Assisted the City update their Utility Users Tax in 2014. Filling of Vacancy, Santa Clara County Office of Education. Assisted the Office of Education navigate through laws related to filling a vacancy. Mayoral Term Ballot Measure, Livingston. Assisted City place a measure on the ballot asking the voters to change the Mayoral term length. Administrative Citations Program, Rancho Cordova. Assisted the City in updating its Municipal Code and Zoning Code after incorporation, and implementing its program for municipal code violations. Code Enforcement, Rancho Cordova. Served as lead attorney for the Code Enforcement department, drafting ordinances and providing critical support for enforcement activities that won the City a statewide award for its “Blight Busters” program. Rental Housing Inspection Program, Rancho Cordova. Drafted the ordinance and helped implement a rental housing inspection program in the City. Vacant Building Program, Rancho Cordova. Drafted an ordinance and helped implement a vacant building monitoring program in the City. Smoking Ordinance, City of Modesto. Advised the City in the drafting of an ordinance that including a prohibition regarding smoking in parks. Sign Ordinance, City of Tracy. Review and provide analysis regarding the City’s sign ordinance. Cell Towers in Parks. Advised the City of Modesto in agreements renting park space for cell towers. Procurement of Park Equipment. Advised the City of Modesto and City of Livingston in the purchase of park equipment. Development Agreements. Assisted the City of Rancho Cordova in negotiating and preparing development agreements that including park development impact fees, Quimby in-lieu fees, and park improvement fees for existing parks. Advised the City of Modesto in the application of a $1 million grant for soccer fields. Water and Sewer Rate Increase. Jose advised the City of Modesto on legal regulations and procedures in the establishment of increased utility rates.